There were the mood swings and the extreme weight loss. There were the food restrictions, the recording of calories, and the logging of food followed by the obsessive work outs. All the signs were there for Emily Jackson. Even though she neglected to acknowledge it, Jackson had been dealing with an eating disorder for several years. It wasn’t long before the symptoms became too severe for her to simply push things aside. After a month she was transferred to The Emily Program, an organization which focuses on a personalized approach to eating disorder awareness, treatment, and lifetime recovery. “Following that, I then went to an outpatient therapist that helped me continue my road to recovery,” Jackson said. Jackson understands her road to recovery is not a sprint. It is a long haul, filled with peaks and valleys. It is a course that is simply not constantly turning left. The course winds, it is uneven, and sometimes extremely bumpy. 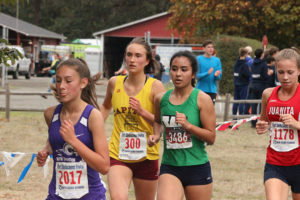 But if anyone can handle such a course, it’s Jackson, a three-year member of the Cougars girls cross country program and a 2017 state meet participant. 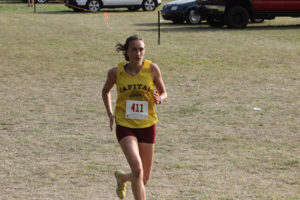 Jackson had little interest in turning out for the Capital cross country team as a freshman. That all changed when she met classmate Alina Chandra. At the conclusion of her freshman year, Jackson was convinced to give the sport a go. During the past summer former Capital cross country coach Kevin Wright sent a message to each captain for the upcoming season, which included a link to an article about Running in Silence, a nonprofit organization committed to breaking misconceptions, heightening awareness, and making change in the athletic community for those at any body weight who struggle to speak up. So, Jackson sent an email in hopes to receiving more information. 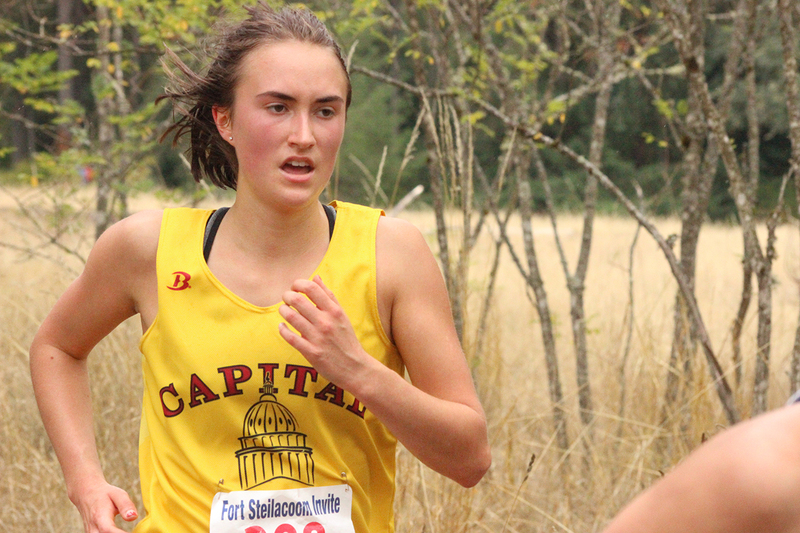 Jackson and her fellow Cougar captains threw out many proposals with, ultimately, the team deciding to include the Running in Silence logo on this year’s Capital Invite t-shirt with a percentage of the proceeds going to the organization.